Neuroeconomics is a recent promising interdisciplinary scientific area which involves neuroscientists, economists, and psychologists interested in offering a new and shared theoretical vision that considers the role of the brain in individual decision-making in economics. 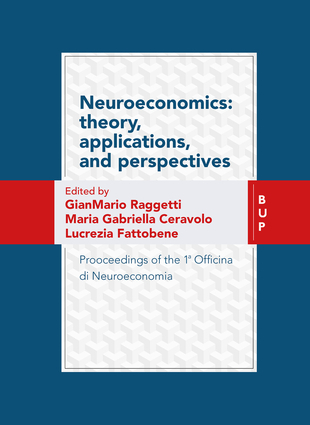 This collection of papers provides an interesting overview of the recent evolution of Neuroeconomics and offers the latest results of applied researches in this area, with a focus on marketing, accounting, and finance. Maria Gabriella Ceravolo is a neurologist and a Professor of Physical and Rehabilitation Medicine at Università Politecnica delle Marche. Her scientific research mainly focuses on the assessment, prognosis and rehabilitation of motor and cognitive impairment in subjects with brain diseases. Lucrezia Fattobene is a Research Fellow at Università Politecnica delle Marche, Ancona, and University of Rome. She was previously a visiting research scholar at the Rotterdam School of Management, Erasmus University. Gianmario Raggetti is a Professor of Behavioral Finance at the School of Economics and Scientific Director of the Center for Health Care Management at the School of Medicine, Università Politecnica delle Marche, Ancona.